In the latter half of the 20th century the State of Alaska hosted numerous regional periodicals, most notably the Tundra Times, managed by artist Howard Rock. There was also the Kadiak Times, a community-based newspaper, serving the Kodiak, Alaska Archipelago from 1976 into the early 1980s. Over the course of its life it was published and co-owned by numerous people including Alaska political leader Alan Austerman. The October 24, 1986 issue, pictured above, belongs to my personal archive because it lends significant detail about the history of the Woody Island Ice Company. The United States included approximately 200,000 dollars for the ice company contracts in its of payment 7,200,000 dollars to the Russia from the ownership of the region. The Woody Island Ice Company served the contiguous part of the nation for decades. More than being a purveyor of history, the Kadiak Times was also a place for local communities to reach out to its members. Above is an installment of the "Pista Pilipiniana Bali Balita," section from the Kadiak Times written by Manby Narra, on behalf of the Fil-Am Association of Kodiak. The article is written twice once in Tagalog and another in English set beside one another. In the column Narra congratulates the parents of a new born as well as mentioning that celebrities, pop singer and actress Pilita Corrales, actress Jackie Lou Blanco, and Corrales' partner Amado Del Paraguay, would be visiting Kodiak. In closing Narra reminds readers to pay their association dues. The brief "Pista Pilipiniana Bali -- Balita" provides informative insight into the life of the Kodiak Filipino community in the 1980s. Many people unfamilar with Alaska may not know that most southern coastal towns, and villages, hold sizable if not predominant Filipino populations. The late Alaskan political activist and historian Thelma Garcia Buchholdt, who served in the Alaska House of Representatives from 1974-1982, wrote the compelling Filipinos in Alaska 1788-1958, documenting Filipino participation in the development of Alaska. In the sixteenth century, Filipino sailors accompanied Spanish galleons throughout the Pacific, including stops along the Alaska coast. Buchholdt marks that a "Manila Man" was on board a ship that docked in the newly Christened "Cook Inlet" in 1788. These "Manila Men" took part in the development of nineteenth century the whaling in Alaskan waters. 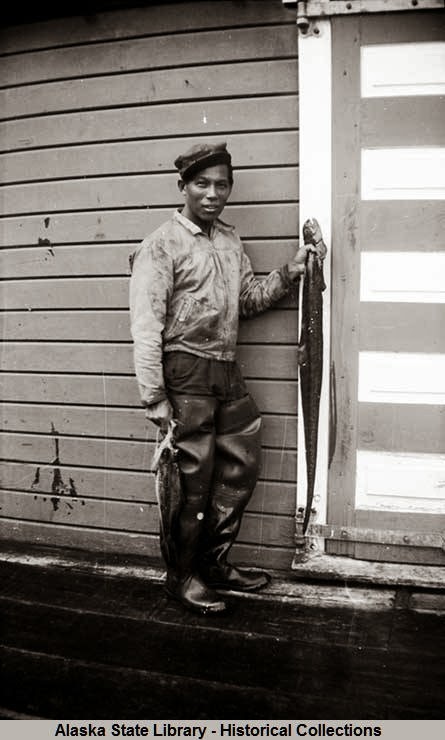 In the previous blog post Three Thousand Filipinos and the William Lewis Paul Papers I briefly discussed that Filipinos, who became known as Alaskeros, were active in the burgeoning early twentieth-century fishing industrial complex in Alaska. These communities also worked in Alaska mines, as well. During the late nineteenth century, capital investments in new canning techniques changed the rapidity and safety in the process of fish canning at an industrial level. This advancement allowed many large-scale companies to set up shop in southern Alaska. In the growth of the industry hundreds if not thousands of Alaskeros worked in the cannery slime-lines and packing houses by 1911. 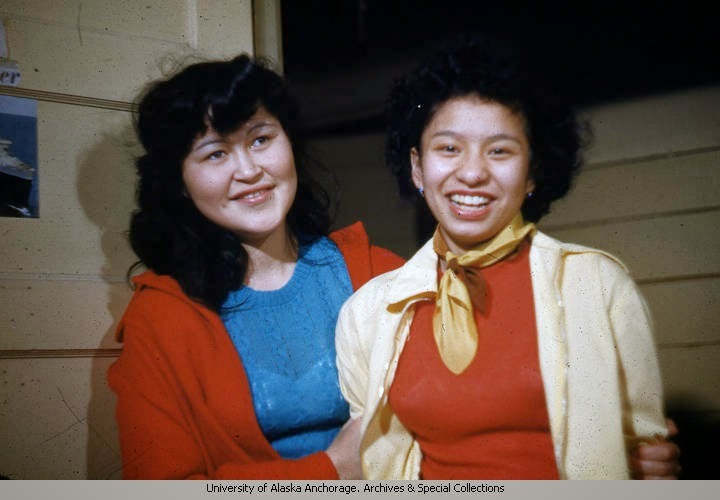 At the University of Washington Special Collections are the Cannery Workers and Farm Laborers Union, Local 7 archive that document some of the work the Alaskeros performed in canneries. Founded in 1933 the union represented mainly Filipino workers throughout the Pacific American coast, many of them in Alaska canneries. I've spent a couple of days sifting through the extensive union records and find them quite a fascinating collection. I grew up in the Kodiak neighborhood of the Aleutian Homes, which since I have been alive has been an area where many Filipinos live. Above is a short documentary by James Guilas about the history of the Aleutian Homes and how and when Filipinos moved there. Guilas talks about the size of the Filipino population in Kodiak as being 30 percent when he put this together, but the last I've read its between 35 and 41 percent, since he made the film.